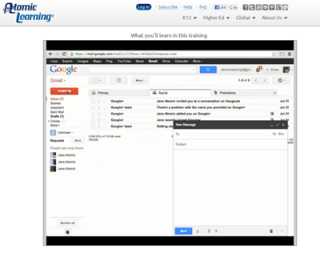 In this new online training series, learn about the new features in Gmail™ including the tabbed inbox and compose window. You'll also learn about the new Hangouts™ and video chat features and work within the settings tabs. Check out this “what you’ll learn” video.